Fox Pest Control provides pest control in Plainview and the surrounding areas. We take pride in providing exceptional customer service, and take to heart the feedback we hear from each and every one of our customers. 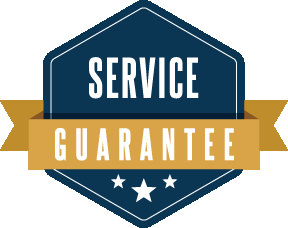 Below you’ll find our reviews, testimonials, and feedback from the home owners and businesses in Plainview we’ve serviced. If you need a Plainview exterminator, contact us today! The guy, Danny was kind enough to explain about the chemical before he sprayed. He did good job. I was very happy with your service. The technician took his time and explained everything and came back right away when after the first application I still had problems with ants. I will use you again in the future and I already recommended you to friends. Great fast reliable and friendly service you can count on. Fast, professional service and the technician was on time for the appointment. Danny gave me excellent service today. He was very courteous and gave me tips on how to avoid potential pest problems. He set up additional termite stations for better monitoring. They also call you in advance to confirm appointments and remind you a day in advance. Overall all, very good service. So far your service has done what you said it would do. The tech who visited my home was very professional and competent. He quickly diagnosed my situation and went about removing the nest in my wall with a minimum of damage. He applied chemicals where necessary and resolved my problem.